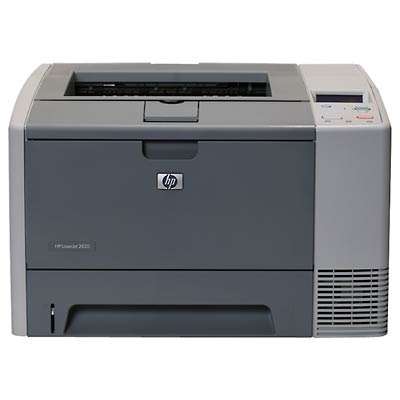 The HP LaserJet 2420 printer series is easy to use and maintain with an intuitive two-line graphical control panel. Industry-leading HP Jetdirect and HP Web Jetadmin options offer easy network configuration and remote management. Enhance the impression you create with 1200 x 1200 ProRes image quality and HP Smart printing technology. This amazing desktop printer offers, IEEE 1284 complaint parallel port connectivity as well as a high speed USB 2.0 port. An optional EIO network card can be added to give you network connectivity. Connectivity Standard IEEE 1284-B compliant parallel port, Hi-Speed USB 2.0 port, EIO slot. Media Sizes: Multipurpose Tray 1: 3" x 5" to 8.5" x 14"